Blog - Already seen the new Venado? Already a favourite of all kinds of riders at any of our on snow events since two years. A first series was sold out faster than we could add it to our webshop, but now the Venado is definitely online. Have a look at the stunning and unique wood designs and check the infos. Both versions will be available starting October 2016, but preorders are welcome anytime. 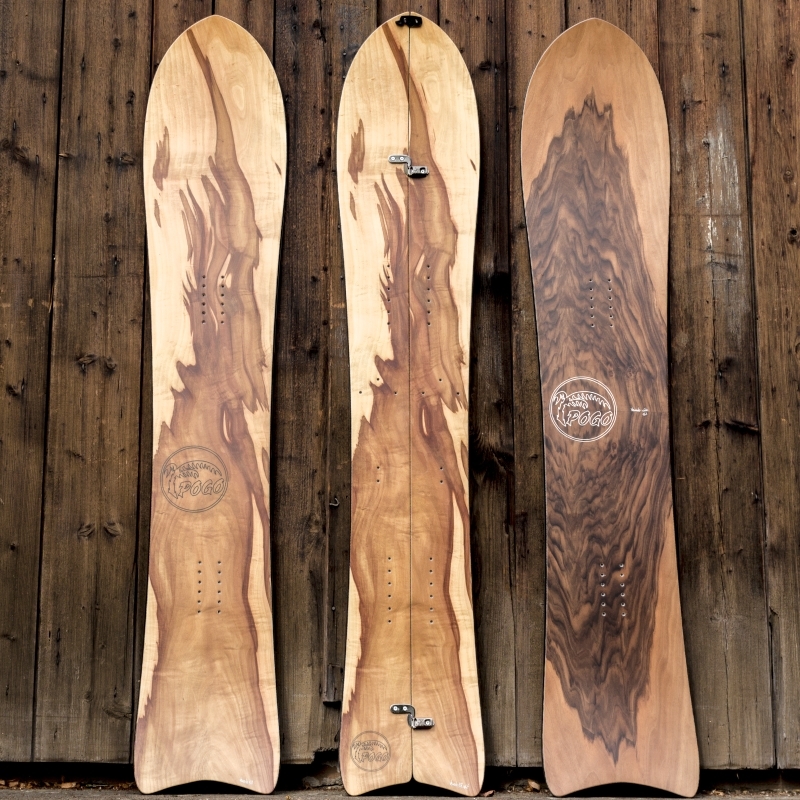 The Venado is a snowboard with a timeless shape that suits everyone wanting to take advantage of the whole mountain. Not so perfect windblown snow, to good to be true deep and fluffy powder, grommed runs, cliffs and natural take-offs, gullies that scream for those layback slasher turns, tight tree zones or just some slushy springtime snow, you'll surely enjoy your ride. Have a look at the standard version here. If you have bigger feet than have a look at the wide version here. If you prefer your snow adventures footpowered than check out our splitboard option here.